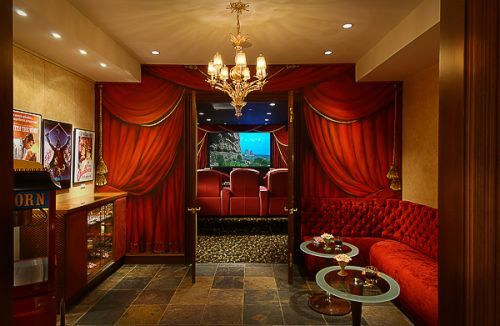 Bars and Home Theatre - S & B Interiors, Inc. 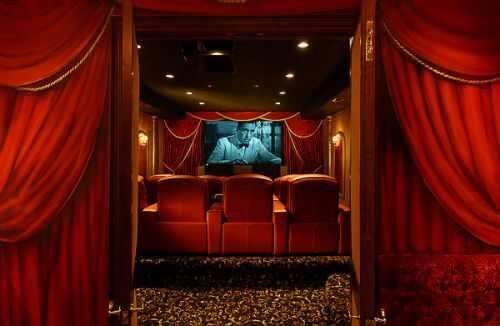 Custom designed home theatre. Modeled after the Granada Theater in Chicago. 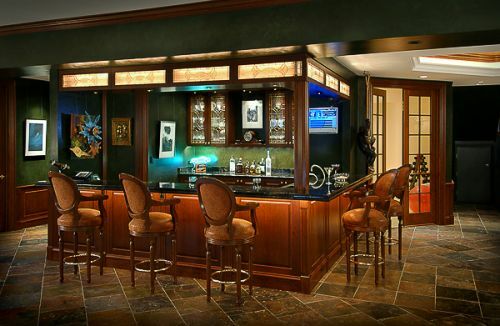 Custom designed formal bar in entertainment area. 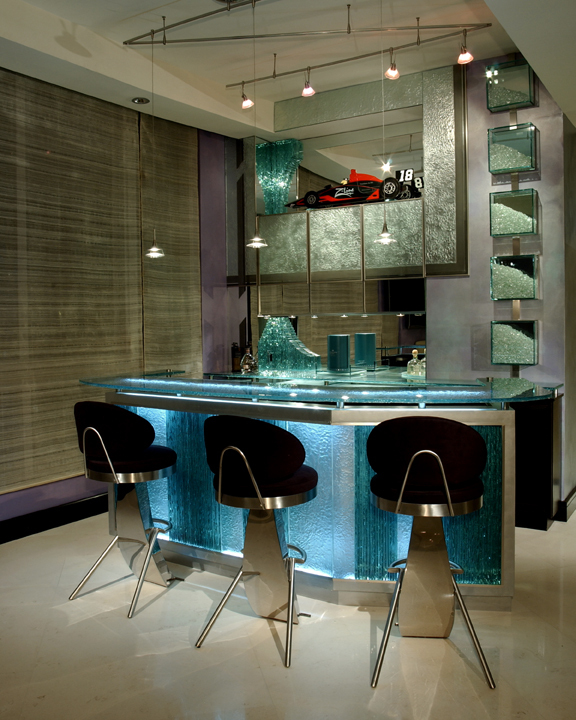 Slate floors, solid wood cabinets, back lit glass designs. Fossil stone countertop. 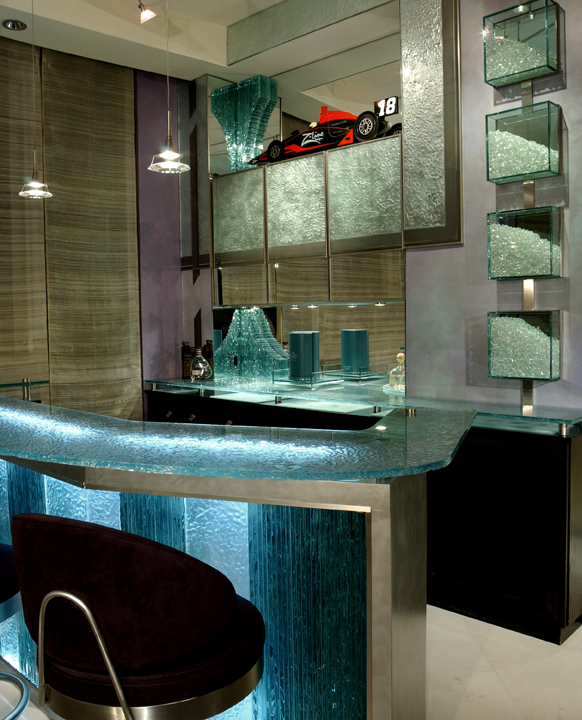 All items were specifically designed for this project including glass model of client's race car on shelf behind bar. 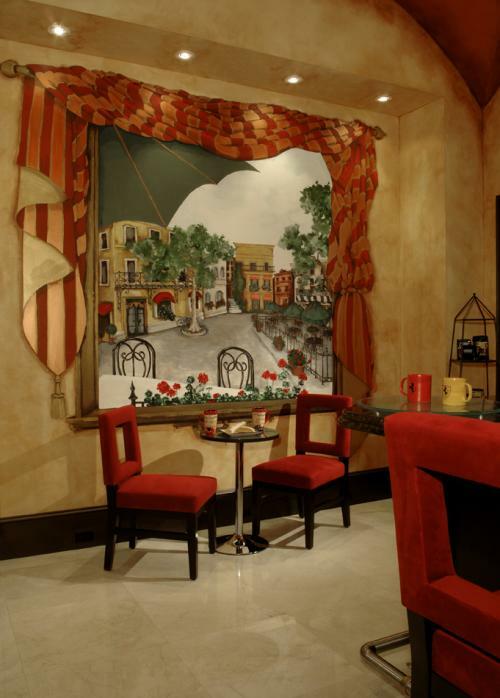 Sitting area to create a feeling of sitting in a European sidewalk cafe having coffee. 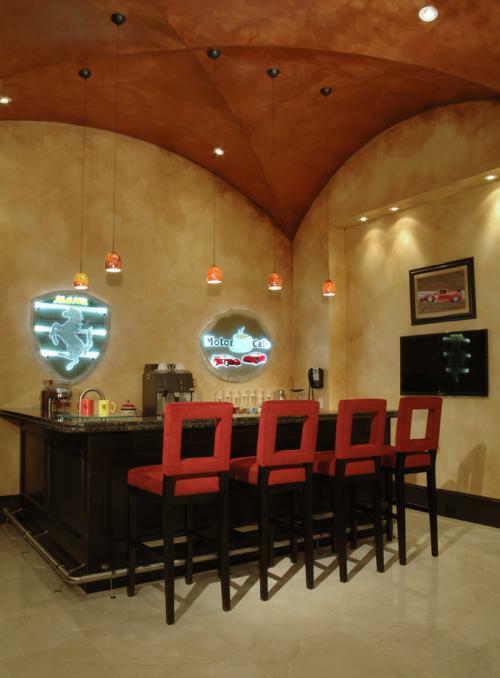 Coffee bar for owner who loves to entertain and serve all types of specialty coffees.